These four words say it all, Active Directory Connection Agreements. The job of the ADC is to create agreements which control the transfer of account information from Exchange 5.5 to Exchange 2003. In addition, the ADC wizard will guide you through making agreements for migrating public folders and routing groups. In terms of tactics, you could use ADMT or ADC agreement to migrate your mailboxes, however ADC agreements have the advantage of maintaining the user’s mailboxes Exchange 5.5 which gives you insurance in case the migration fails. ExDeploy is wonderful. Imagine that your beastly boss told you to provide a comprehensive document to explain how you were going to migrate to Exchange 2003. As a techie you probably dislike writing such documents, well ExDeploy will do it all for you. Not only will ExDeploy provide project management grade documentation, but it will also supply hyperlinks to the wizards which will actually perform the individual migration tasks. Load your Exchange Server 2003 CD, double-click Setup.exe, and then click Exchange Deployment Tools under Deployment. Navigate to the Support\ExDeploy folder on the Exchange Server 2003 CD, double-click ExDeploy.hta. To prepare for the ‘Agreement’, first create two way trusts between the NT 4.0 domain and Windows Server 2003 domain. Once you have verified the trust, add the Domain Admins from the Windows Server 2003 domain, to the local Administrator’s group in the NT 4.0 domain. Navigate to the Active Directory Domains and Trusts snap-in, then select the properties of your domain, now the Trust tab should be visible. Next, click on ‘New Trust’ and enter the name of the NT 4.0 domain. To complete the other side of the trust, use NT 4.0’s USRMGR and configure the Trusting and Trusted domain to be the Windows Server 2003 domain. The best way to install ADC is by using the ExDeploy tool. The wizard has the knack of guiding you through the steps while minimizing the possibility of making a mistake or overlooking a setting. Always use the Exchange 2003 ADC rather than the Windows version of ADC. Technically the ADC is installed as a service. If you wish, the ADC wizard will create new accounts for the owners of the mailboxes. However, there is a trap, if you use the ADC to create new accounts, then users can no longer connect to their mailboxes through their NT 4.0 accounts. If this is likely to be a problem then consider using ADMT instead. For a complex or multi-organization migration, Microsoft provide a meta-directory service (MMS). With recipient agreements the key word is synchronize. Think of ADC agreements as two parallel pipes with information about user properties flowing from Active Directory and Exchange 5.5 in one pipe, and from Exchange to Active Directory in the other pipe. The ADC is more flexible than ADMT in that you can also create agreements for public folders and even routing connectors. The sites and connectors of Exchange 5.5 become Routing Groups in Exchange 2003. Agreement is a well chosen word. When you call for the ADC wizard, you will be prompted to decide precisely how objects are synchronized between the source and destination domains. You can define multiple agreements to move users directly into a particular OU rather than having all the accounts created in the default Users container. Note: If you are migrating between different organizations, then you can, I repeat you can, use ADC agreements to transfer user and mailbox information between different Exchange organizations. This would not be possible with ADMT. While Exchange 5.5 did an adequate job of delivering mail in the 1990s, in retrospect there were deficiencies in its design. 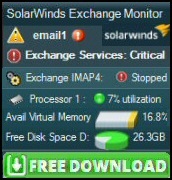 One such anomaly is that Exchange 5.5 allows one user to own multiple mailboxes. In Exchange 2003 the mailbox becomes a property of the user in Active Directory. As a result you cannot have a user with more than mailbox any more than you could have a user with two heads or three mouths. For the situation where NT 4.0 allows one user account to own several mailboxes, Microsoft has made a work-around and provide Exchange 5.5 with a custom attribute called NTDSNoMatch. The idea is to set this custom attribute on the user’s secondary or resource mailbox. Once you set the ‘Custom Attribute 10’ to be the precise value = NTDSNoMatch, then that mailbox can be successfully transferred to Active Directory and assigned to a new user. But remember that in Active Directory, one user can only have one mailbox. For a true migration you will need ‘Agreements’ which translate how it was in Exchange 5.5 with NT 4.0, to how it will be in Exchange 2003 with Active Directory. Use the Exchange 2003 version of ADC to create these ‘Agreements’, to populate Active Directory with those NT 4.0 users. Once you have transferred the user accounts, apply what you learnt to migrate public folders.